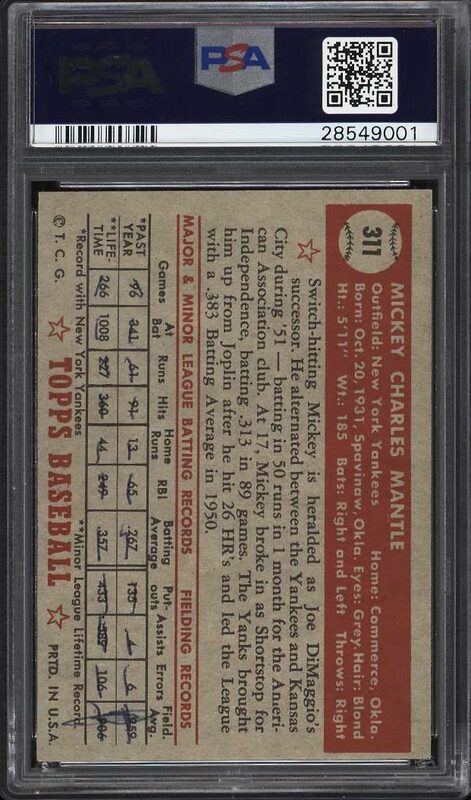 A jaw dropping '52 Topps Mantle up for bid this month. This card looks like it was wrapped from a pack recently with virtually zero signs of circulation present. Boasting four pristine edges with untouched corners and NM-MT or better card stock. The front surface is simply jaw dropping with near flawless white borders, tremendous gloss and some of the finest registration we've seen on the issue. Displays vivid color with a glorious light blue background and hardly any excess print. Blue pen marks on the reverse through Mantle's stats account for the (mk) qualifier. All told this '52 Topps Mantle boasts some of the very best qualities we've seen on the issue. 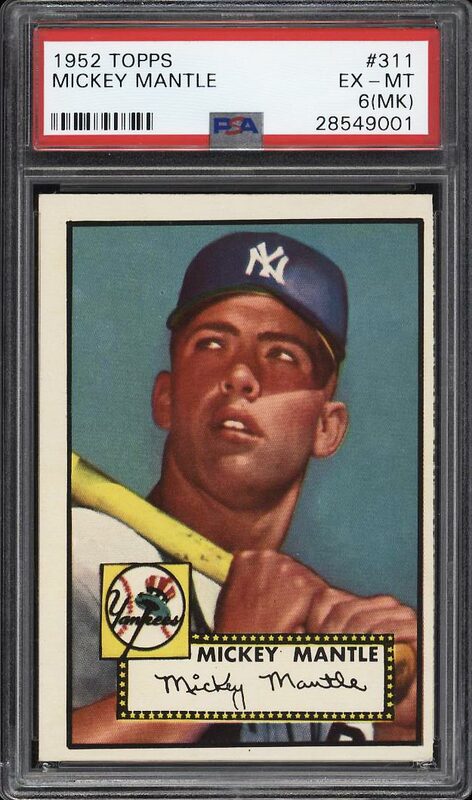 A great opportunity to acquire a '52 Topps Mantle with gorgeous EXMT qualities at an affordable price. Enjoy. One of over 18,000 cards, lots and sets up for bid in our 9th Auction of 2018. Click on the link above to view the other PWCC auction lots.